One of the partners in the Access Bank Lagos City Marathon, GAC Motors has said it decided to launch her flagship SUV brand for 2018, the GS8, on the eve of the race as a way of remembering her involvement in the marathon. 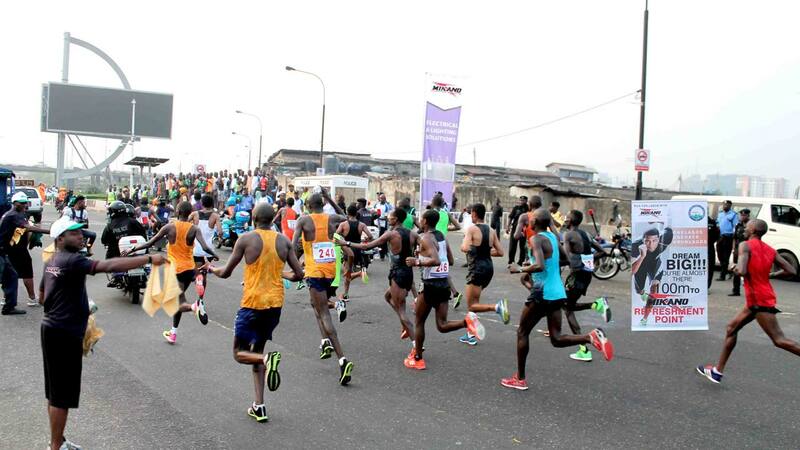 GAC Motors has added more colour to the Access Bank Lagos City Marathon by donating two cars for both the male and female winners in the newly introduced 10km race, which is tagged family race. On the eve of the marathon race, the management of GAC Motors gathered top elite, socialites and aristocrats at Eko Hotel and Suites in Victoria Island, Lagos to launch GS8. Speaking with The Guardian shortly before the launch, the president and chairman of Choice International, Chief Diana Chan, whose company is responsible for the sales of GAC motors in Nigeria, said she was excited to be part of the Access Bank Lagos City Marathon. “Made for More tells us of endless possibilities; limits to be exceeded in car engineering; experiences and connections between man and machine yet unknown; the relationships and social nuances yet to be explored. It is the future of innovation the merger of our cultures can breed. Two Nigerian runners, Sadjo Ishmael and Akusho Rose emerged winners in the 10km race for male and female respectively on Saturday to grab the GAC salon cars, and cash prizes attached.